Awarded annually for the best Blue Shark of the season caught in Looe waters by a local resident. 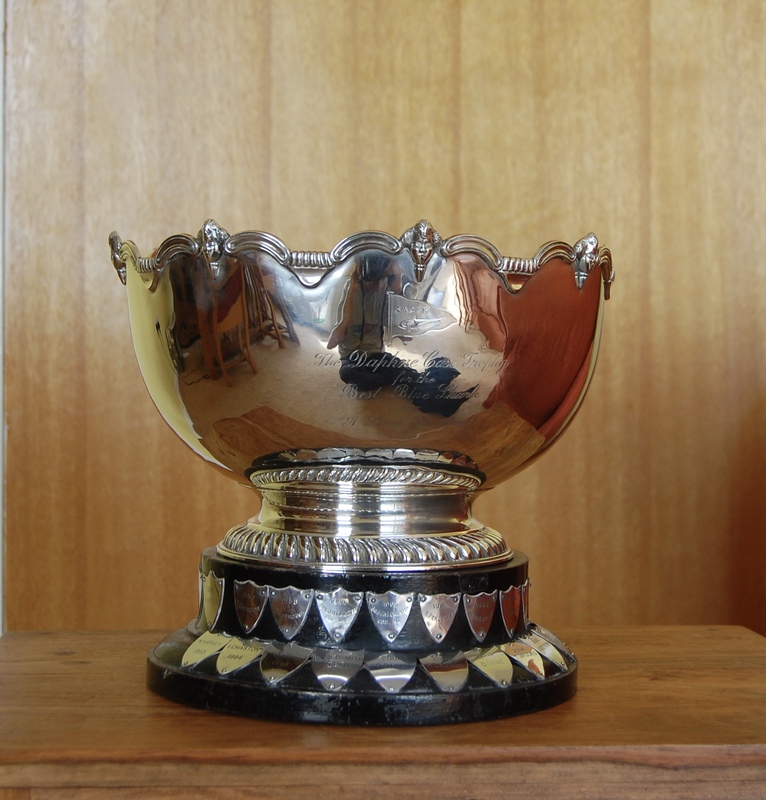 This trophy was donated by Daphne Case and accepted by the club at a committee meeting on the 9th January 1954. Daphne went on to win the trophy for three consecutive years so she was given the trophy to keep. 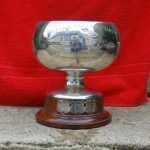 The trophy we compete for today was added to the SACGB trophy cabinet in 1957. The original Daphne Case Trophy is shown at the bottom of this page. 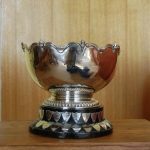 The original Daphne Case Trophy had the same challenge as the present one and was awarded annually for the best Blue Shark of the season caught in Looe waters by a local resident. 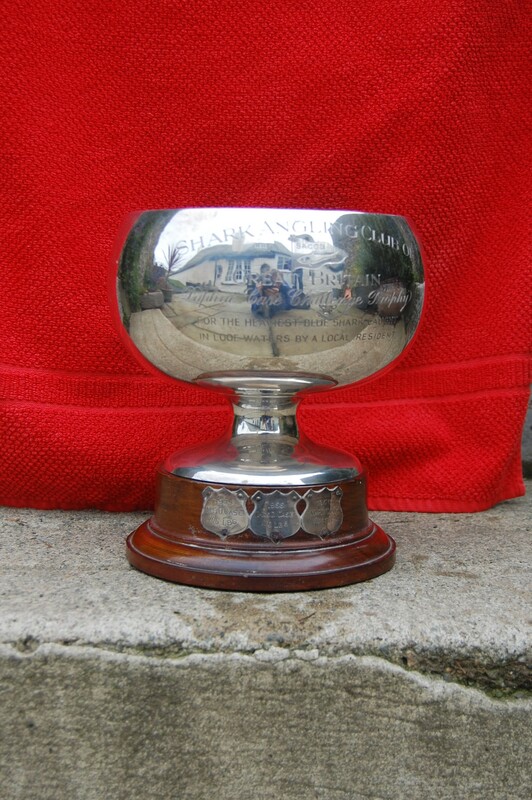 This trophy was donated by Daphne Case and accepted by the club at a committee meeting on the 9th January 1954. Daphne went on to win it for three consecutive years with Blue Sharks of 106lbs, 119lbs and 134lbs. Under the rules at the time, this achievement meant she was able to retain the trophy permanently. The 1956 shark was the 134lbs Blue for which she was awarded the World Record.